In 2012, Burak Bektas was violently murdered by a group of neo-nazis which triggered a chain of displacement in the community. His murder followed a series of similar cases across Germany, notably that of Luke Holland, Enver Šimšek, Habil Kiliç, Mehmet Turgut, and Michèle Kiesewetter. Notable organisations like The Peoples’ Tribunal, Ramazan Avci and Initiative 6. April have made significant shifts in the way victims are placed into protection and how they tackle national prejudices. Bektas’ murder is symbol to the current lives of many marginalised communities submitted to violence with no guarantee of protection from the law or justice towards their lost loved ones. The NSU trials that covered some of these cases were considered prepertuating victims’ testimonies. 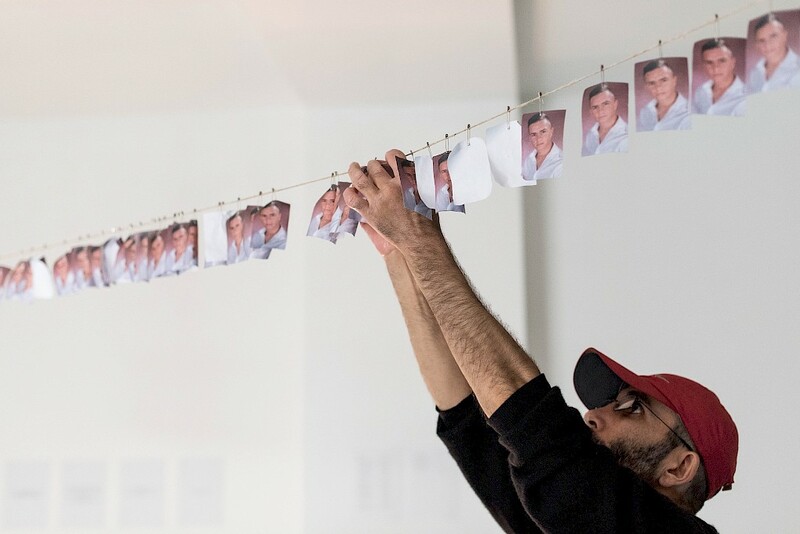 An artistic project by Forensic Architecture challenges these cases through counter-forensic investigations into the murder of Halit Yozgat in Kassel (2006) by using public court data to oppose the case’s verdict. In its presentation, included in documenta14 (2017), it created new evidence to oppose the final verdict and its limitations on the legitimacy of law and justice performed. The story of this case, as of many, points to where patriarchy, dark legacies of colonialism, and any sort of Othering ought to be dismissed. The police regressed and issued new evidence to the court not previously released to dismiss the hearing and close the case after the intervention of counter-forensics from the FA team creators. The project shows the paradox between science, technology and fiction and how its victims’fates were later revealed to be connected to a series of racially motivated murders carried out by the National Socialist Underground. The Forensic Architecture team was invited by the organization The People’s Tribunal “Unraveling the NSU Complex” to look into what could possibly be the collusion of a Western European state in violent crimes.